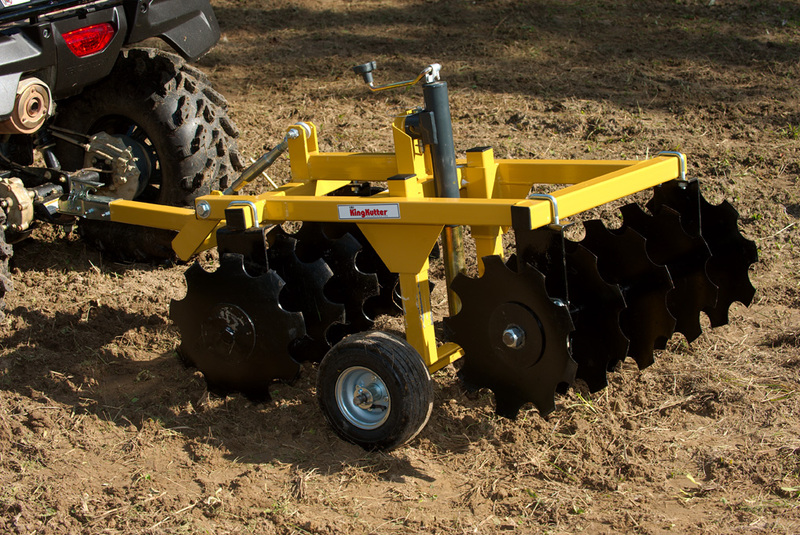 ATV DISC with sealed bearings and 14″ notched blades. 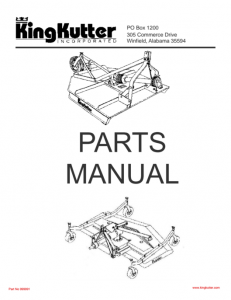 The Compact Disc has many features found only on the larger models. 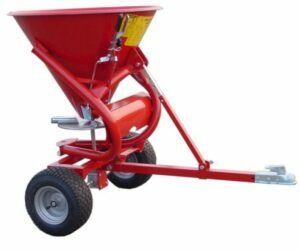 Strong square tube frame, 1″ high carbon steel axles, maintenance free sealed steel bearings, 14′ notched disc blades and a unique pull tongue design that allows down pressure to be applied without the need for weights. 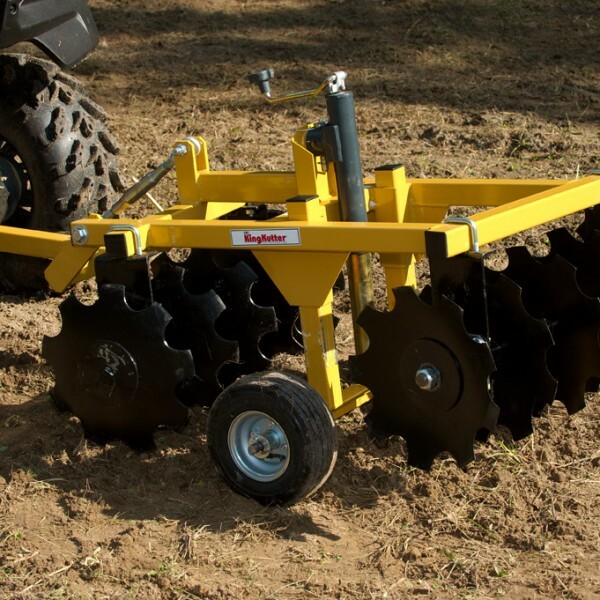 The wheeled design is engineered for smooth transition from off-road transport to cutting position with just the turn of a crank. 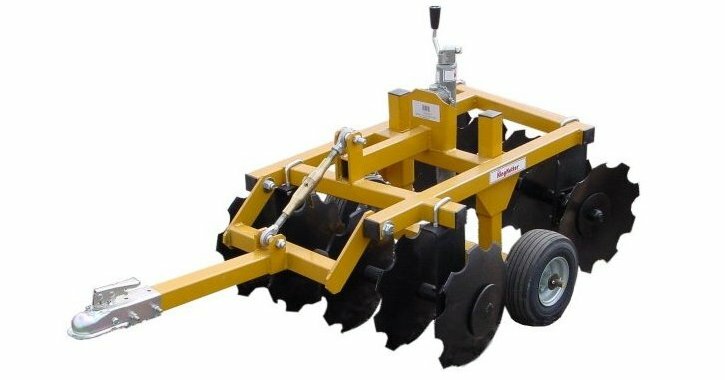 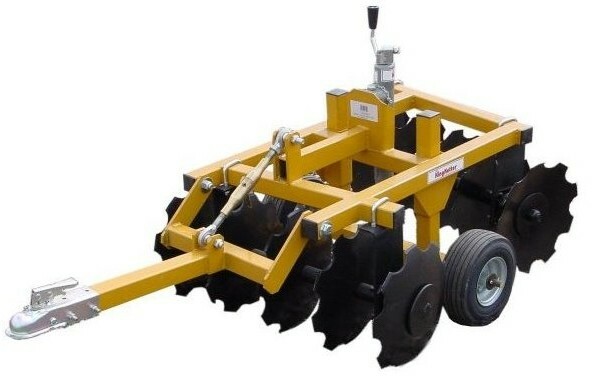 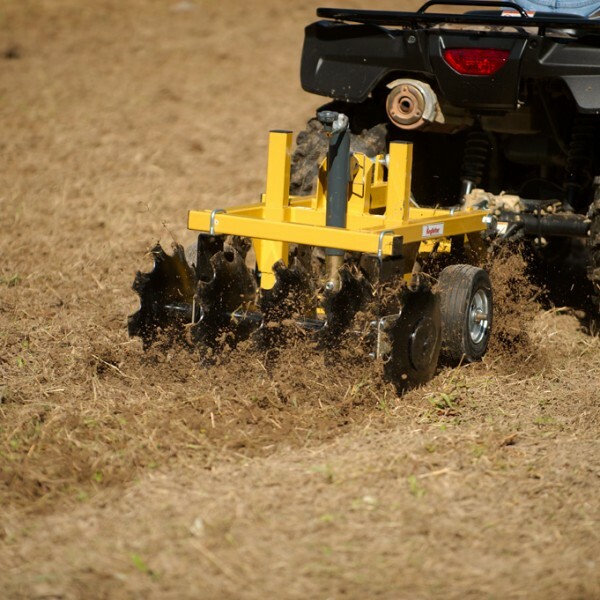 The 33″ / 48″ cutting width allows for easy transport to hard to reach areas and small patches of ground. 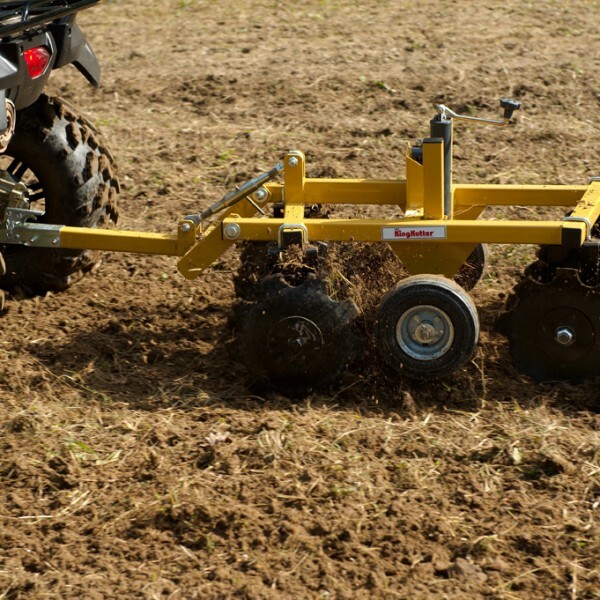 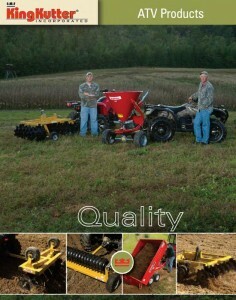 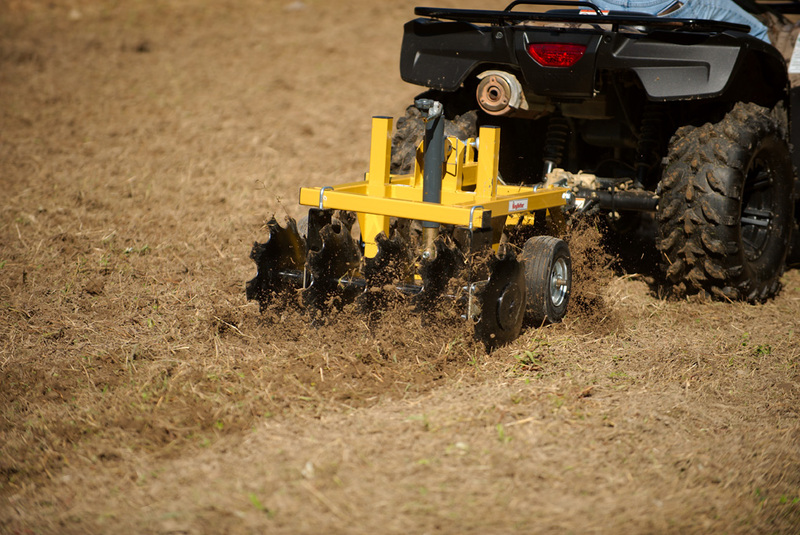 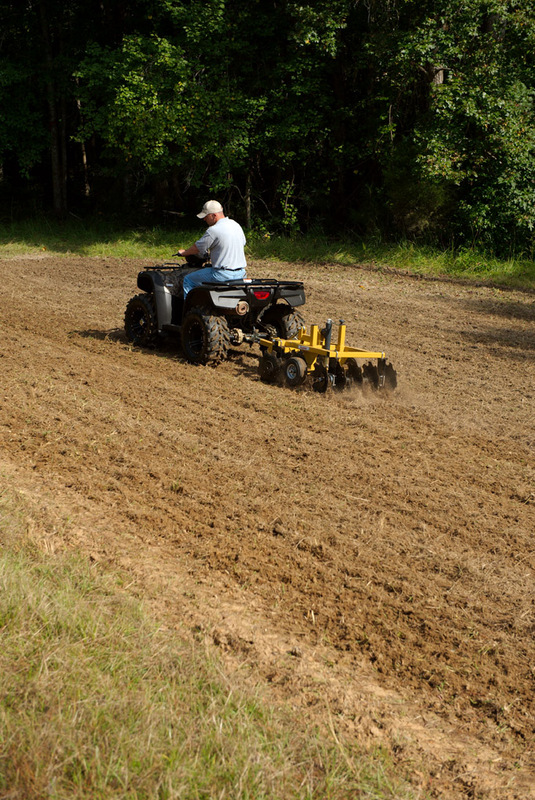 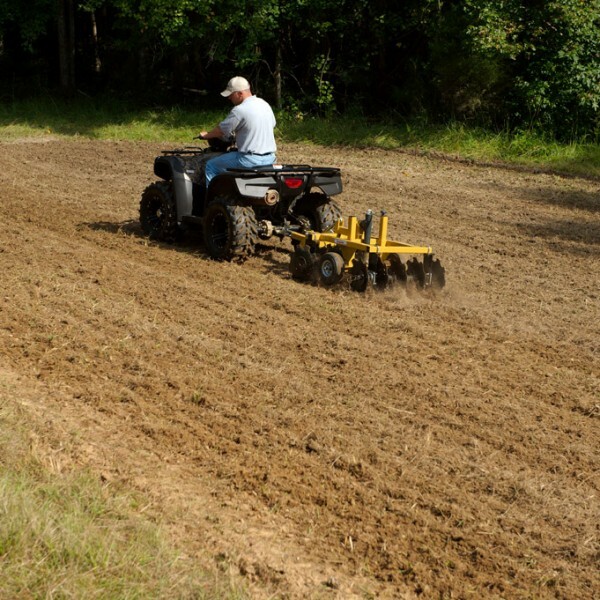 Perfect for deep woods, wildlife food plots, small gardens, row cultivation and yard prep work. 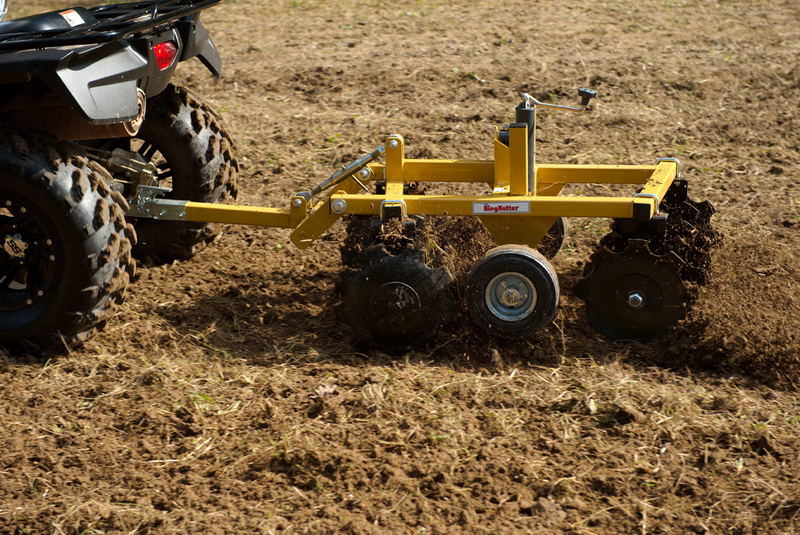 This compact disc is easily pulled by 4-wheelers, garden tractors and sub-compact tractors using a 50mm ball.